Property tax is built on data, but the way most tax teams work with numbers today actually sets the stage for a minefield of mistakes (not to mention inefficiencies) with potentially significant consequences. Look around your office right now. How many people are working on data entry? Is the data entry being double-checked? Are we doing this as efficiently as we can? And most importantly, how can technology allow your team to grow by spending more time on higher value work like determining the fairness of the assessed values? Manual data entry isn’t the best way to run your practice—there are better methods available. Keep reading to find out why “good enough” data is anything but good, and how to find the most cost-efficient method of promoting quality data today. Download this white paper to find out how advanced technology is helping property tax professionals prevent data errors—and gain a competitive edge in other areas as well. Spreadsheets are a prime breeding ground for data mistakes (hence the term “spreadsheet risk”). Spreadsheets put the responsibility for accuracy in the hands of the user, not only to populate the spreadsheet at the start but to maintain it over time as well. However, many tax practitioners continue to use spreadsheets despite the risks—perhaps because they think their own level of error is low enough to be acceptable. But is there an acceptable error rate when it comes to data? One research study shows that bad data has a direct impact on the bottom line of nearly 90 percent of all American companies. And Gartner measures the average financial impact of poor data on businesses at $9.7 million per year, noting that those impacts sometimes occur in the form of missed opportunities and higher-risk decision-making. Penalties. Data mistakes in due dates or addresses could lead to filing returns late, mailing returns or payments to the wrong address, or missing payment deadlines. And a mistake in the amount due could lead to overpayment (or underpayment) of a bill, all of which lead to penalties. Penalties for any reason could cost your organization as much as 10 percent of the original bill amount. Missed opportunities to reduce your tax liability. Notifying an assessor that you want to appeal a too-high valuation of your property must be done on schedule. If you miss an appeal date, you’ll also miss out on the opportunity to appeal an unfair assessment and be forced to pay a tax amount beyond what your property is actually worth. Plenty of tax practitioners still rely on the partner system and reading aloud to check data that’s already entered into the system, believing this is a good way to catch data errors. That’s not necessarily true—some studies have shown that reading aloud has more errors than other methods of checking—but even if it were, these outdated data quality processes are more costly than they seem. 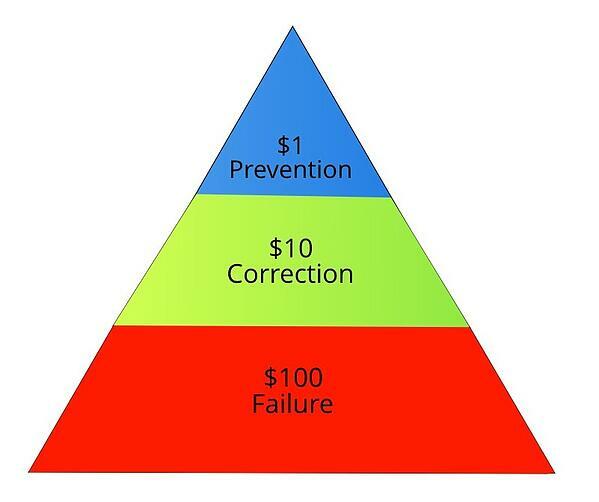 The “$1” level is the cost of prevention. Taking care to ensure that only good data enters your system is the least costly method of promoting quality data. Think of this as the prevention stage, where you’re preventing data errors to begin with by capturing correct data from the start. The $10 level is the cost of correction. You’ve already introduced the required data—correct or not—into your system and have instituted a method to correct it as needed. (This is the read-aloud method, and similar processes, for checking data.) It costs more to get good data at this level, in this case because of the time your highly-paid tax team members are spending on the task. If you’re checking data at this stage, it’s likely that your business’ efficiency level is also suffering as a result. The $100 level is the cost of failure. The cost of dealing with bad data at this phase has increased 100-fold. If you haven’t caught an error in time, you’ve likely incurred a penalty or missed an opportunity to appeal, both of which will significantly impact your bottom line. Most tax practices are working at the $10 level, however, inevitably some errors remain and turn into costly, $100-level failures with penalties. Realizing this, some teams have begun trying to combat escalating data entry errors at the $1 level with automation or outsourcing. There are many outsourcing options available for manual data entry, but the fact is they still rely solely on humans to input data. Some data entry services advertise a high rate of accuracy, which sometimes includes having a second person review the data, yet this method can’t be considered error-free. Automating data entry is also an option for an increasing number of tax teams. Your odds of success with this method improve exponentially, depending on the solution you choose. To address data quality at the lowest cost level possible—the $1 stage—digital automation is the key. Rather than requiring your team members to manually input data or share spreadsheets, some types of software can automatically pull data from your tax documents. That means you’re bringing better, cleaner data into your systems right from the start. To do this successfully, the software must have a complete and reliable capture solution. Oftentimes this relies on optical character recognition technology to scan documents; the data is then automatically sent to your system. That’s a step up from spreadsheets—but most legacy software is limited in the amount of information it can scan from what are typically unstructured (not consistently formatted) tax documents. It also has no built-in way of checking the data to ensure accuracy. That means you’re still left with inputting a good amount of data manually, and checking it yourself. To practice data quality management at the $1 level (maybe even less than that! ), use MetaTasker. MetaTasker is a web-based solution that handles the “microwork” of data entry, both extracting all available strategic content from your property tax documents (structured and unstructured) and verifying it for accuracy. You scan and upload your property tax documents into MetaTasker. 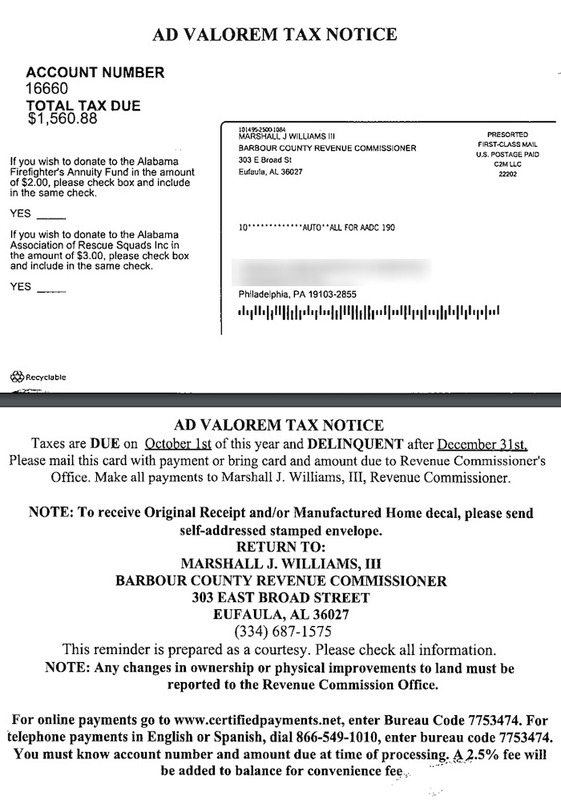 Tax documents like these can be uploaded into the system. MetaTasker converts the image to readable text, and uses an advanced machine learning algorithm to extract strategic content. 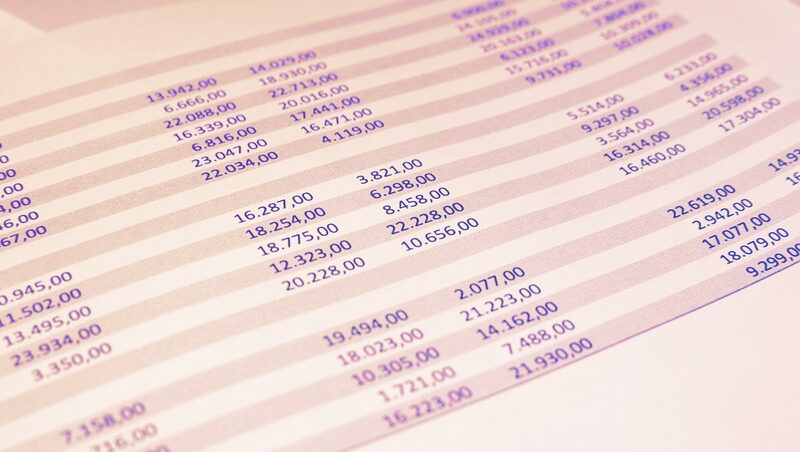 The data extracted from the above tax document is shown here in MetaTasker. Data requiring additional interpretation and validation is completed with trained and trusted crowd workers to ensure high accuracy. Data is analyzed and validated with established business rules and a taxing jurisdiction database prior to being imported into your enterprise system. The MetaTasker dashboard shows document extraction progress and documents that have been run through the system. Why Choose MetaTasker Over Other Preventive Solutions? It uses a consensus and escalation approach to validate your data. The software incorporates crowdsourcing for data extraction, breaking down the process into small tasks assigned to a specialized, trusted crowd for handling. To ensure data accuracy it asks three different crowd members the same question (i.e., “What’s the due date on this tax bill?”); if they all agree, then the answer is deemed correct. From there, the machine learning algorithm “learns” the answers to these questions and retrieves the data automatically. When the machine has low confidence in the data it generates, the task is escalated to a trusted worker, where an actual person retrieves the correct data. This system of consensus and escalation achieves greater than 99 percent accuracy (and has a quick turnaround time of less than 24 hours). 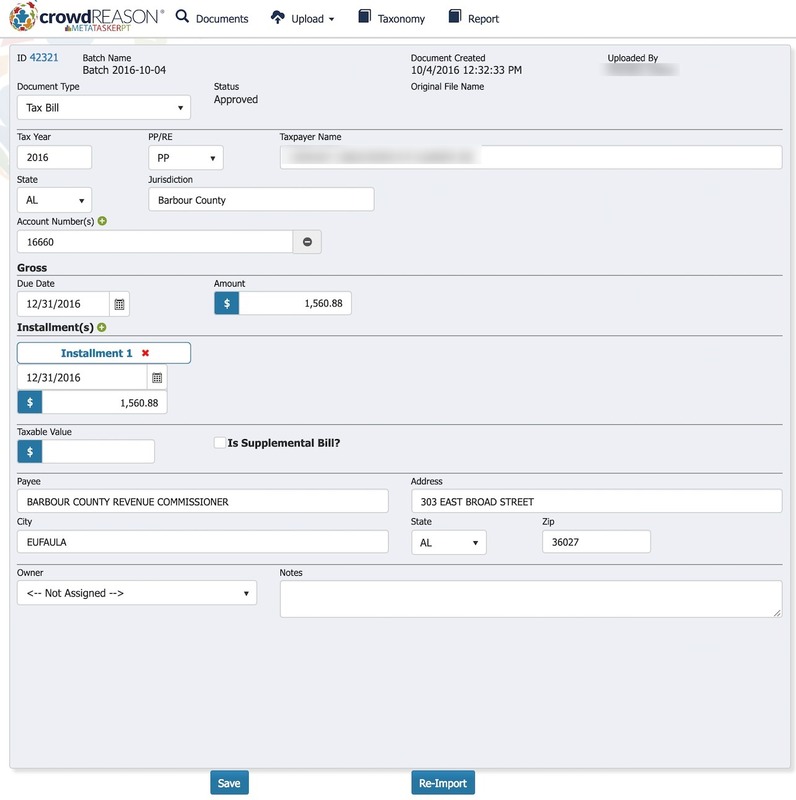 It automates the maximum amount of data entry possible. While some data extraction solutions are only able to pull small amounts of data from tax documents—like account numbers and jurisdictions—our application uses machine learning to extract many more data points from unstructured documents. That means your system is sourced with all the available data related to your properties directly from your tax documents themselves, everything from account numbers and addresses to payment amounts and due dates to appeal dates and values. There isn’t anything left to manually enter, because it’s all done automatically through the software. Verifying accuracy at the point of capture is the most cost-effective way to achieve good quality data—MetaTasker can get the job done. If you’d like to learn more about MetaTasker and see the software in action, schedule a demo today. We’d love to show you how this single change in your processes can make a world of difference in your practice.